"PAMWE CHETE! - All Together!" The undisputed masters in counter insurgency warfare, and the smelliest buggers in the bush. Founded in 1973 by the infamous Lieutenant Colonel Ron Reid-Daly, this unit ran countless psuedo-operations behind enemy lines, striking terror in the hearts of the communist insurgents they fought. Though they were mired in controversy in their existence, fighting for a pariah state, the Selous Scouts were a racially integrated unit, with almost 90% of it's ranks made up of African Shona and Ndebele men. They were also the first unit in Rhodesian history to commission black Africans as officers. So much for that whole "white supremacy" narrative! By the end of the Rhodesian Bush War, they had suffered 36 operators killed in action, but accounted for 68% of all guerilla deaths from 1973-1980. They did this while never numbering more than 500 operators at any given time.Their tactics as special forces operators continued to the studied today at the highest levels of military command and academia. Produced in the standard 2x3" size with hook velcro backing, identical in specification to milspec flag patches. 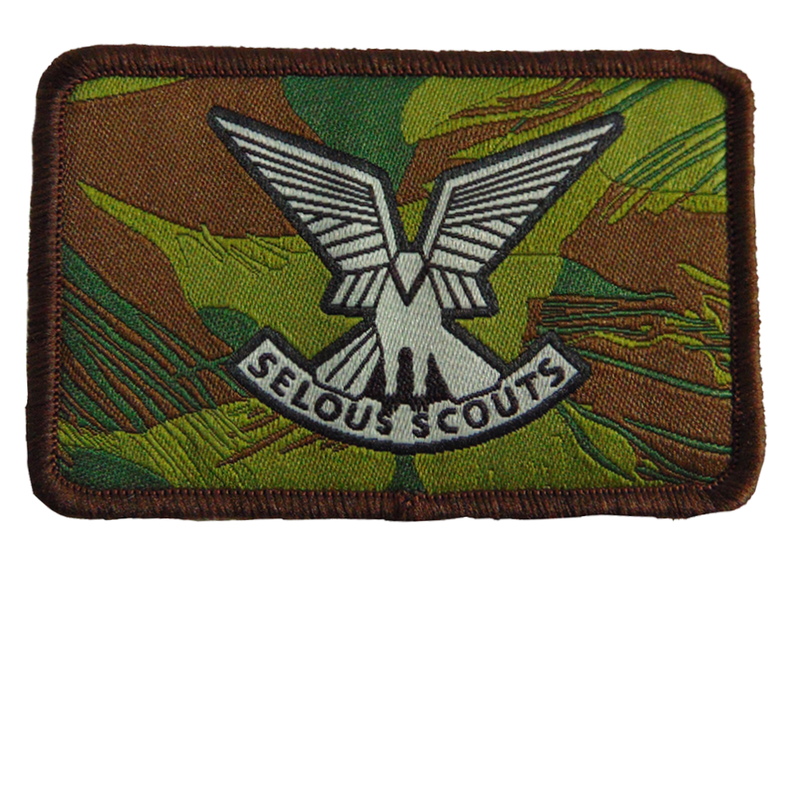 Patch features the stylized insiginia of the legendary Selous Scouts superimposed over Rhodesian Brushstroke. All prices are in Canadian Dollars (CAD). We ship internationally!